WILLEMSTAD – The Dutch Minister of Foreign Affairs, Frans Timmermans begins today with a four day visit to Sint Maarten, Curacao and Aruba. He begins his working visit to the Windward Islands. The Foreign Minister’s visit will include meetings with the Governors and Prime Ministers of the three countries. He will also attend the Kingdom Conference on Foreign Affairs held in Sint Maarten. 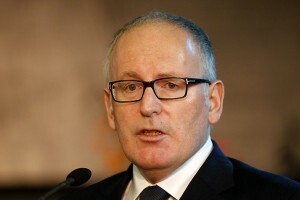 Timmermans previously emphasized the special position of the islands, the relations with Latin America, the promotion of regional trade and the presence of the Kingdom in international organizations such as the United Nation and the European Union. After the Kingdom Conference, Timmermans will travel to Curacao, where he will talk with Governor George-Wout and Prime Minister Asjes. Wednesday he will continue to Aruba.